I had an interesting conversation with an older gentleman. He asked me ‘why are young people so lazy?’ I got upset. I asked him ‘have you ever woken up one morning, knowing you didn’t have much to do, so you decided to just stay in bed a little longer and relax?’ He said ‘yea’. I asked, has there ever been a time when you knew you were going to do something really fun the next day so you could barely sleep, cause you were anticipating a day full of excitement? He said ‘yea’. I told him to imagine waking up every morning in a state where you don’t feel like you have much to look forward too for that day. A state where you’re not woken up by excitement. I then went on to say that most young people aren’t lazy! They’re unmotivated. Give that person something that aligns with their interest or passion, and watch how productive they become. Yesterday I possibly had the most laziest day in my life. Simply because I decided to do less work than I normally do. It was the worse feeling ever!!! I felt so unmotivated. I spent the whole day doing nothing, but still felt tired. Huhhhh??? But this is the life some young people live daily. And it’s because they are not living for anything they’re willing to die for. Nothing drives them. And we assume the solution should be found in school. Really? These young people aren’t lazy, they’re unmotivated. I’m definitely not discounting the value in school, but what I am discounting is the perception that school is a solution for most of what young people will go through, when the reality is it’s not. School is not designed to develop young people, it is designed to train them and educate them. And what’s happening is young people are getting lost between the cracks. Parents are relying on school to give their child what they need. They have a mindset of ‘if my child is in school, they will turn out just fine’, so the parents don’t invest much time into developing their child, they leave it up to the schools. And then the child gets to school and school says ‘it’s not my responsibility to ‘develop’ your child, I’m here to train and educate them’. Hmm…so they’re not being developed at home, and they’re not being developed at school. So where are they being developed. They’re not! Who’s teaching them how to handle stress? No one. Who’s teaching them a more effective way to deal with their problems? Maybe TV, movies or friends? Who’s actually developing these young people? 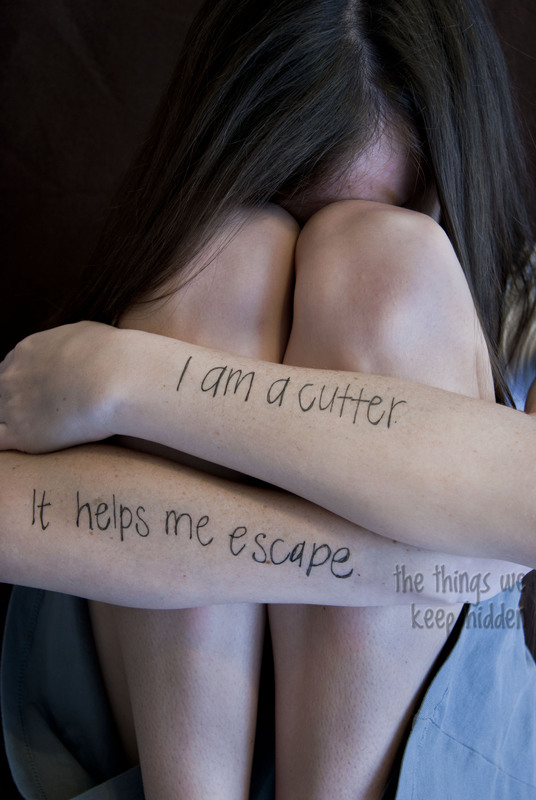 I met this young girl who cuts her forearm, to deal with stress and to numb emotional pain. She’s not suicidal. She just doesn’t know how to handle stress and emotional pain. And she’s not the only one. I’ve met more like her. Its called ‘self-harm’ look it up. I use to think it was all in the parenting, and that the parents were the ones who should take responsibility for the development of their child. That they should be the one to teach them how to manage money, teach them how to handle stress, etc etc. Teach them everything school doesn’t, but I see it differently now. Why is all the responsibility being placed on the parents? As if they don’t spend more time at school than with their parents. I talk to young people who tell me they maybe see their parents for a couple of hours a day. Parents have to work. The child has school and sometimes a part-time job. Why can school not be revamped to support the development of these young people and not just the education? Thousands of dollars are spent annually to create curriculum’s that educate and train young people and children on how to do particular tasks. Why can’t we put more money into actually developing these young people? As if training me for a particular occupation, is more important than developing me into a better person. Development is of course a form of education, but relaying facts isn’t development. My point is this, at the inception of the ‘compulsory education system’, the family dynamic was completely different. The structure at home was completely different now. In most cases, only the man was working. And now that the family dynamic has changed dramatically where both parents are working, most grandmothers and grandfathers don’t live with their daughters or sons. So the ‘education system’ needs to be revamped to accommodate this. Year after year the key things that are changing within the system are facts, textbooks, computers or better put; things that support the relaying of information, but not what is being taught itself. We’re trying to use the same tool that was used in the late 1800’s, the same way today. But it’s silly because how many tools do we still use from the late 1800s? I believe young people need school, but just not the way school is right now. It needs to transition from an education and training system, to an education and development platform. And that will only happen when the objectives of schools to create good employees and obedient citizens changes. And this is exactly why I am developing an afterschool program that focuses on development, in hopes that it will eventually become a course offered and then built into the school system itself. It’s a little ambitious yes, but it’s possible. Especially because there’s a shift happening, where employers now want people who are more motivated. Lastly, we’re telling young people that “This – pointing at school – is what needs to drive you. This is what should wake you up in the morning. This is what you need to live for, because if you get a good education, you’ll get a good job, and your family will be happy”. We are telling them what needs to motivate them, rather than paying attention to what they are inclined to do or what naturally or actually motivates them and then teach them how to use school to pursue it. So what if we took a different approach? What if we stopped expecting young people to be motivated or driven by school, but taught them how to use school as leverage to pursue what actually motivates them? Or help them to see school as a way to unlock their passion? Where they’re no longer just chasing the degree, but they are chasing the knowledge, and the degree becomes a byproduct of that. What if we get them to see the bigger picture. Where school isn’t just a destination, but rather a tool that you have access too? I’m not enrolled in a university, but sometimes I’ll still drop in on classes when I have the time, because it’s the knowledge I’m after, not the degree. But it’s also because I’m motivated by something other than school. School and education is apart of my bigger picture, but it isn’t my bigger picture. We need to stop expecting these young people to be motivated by school. I’m really asking you (border line begging you, all of you) to ask a high school student why they’re in school. There is a problem that our young people are facing and it’s so much bigger than laziness or ADD. They are falling through the cracks of society. Image | This entry was posted in Uncategorized and tagged career, college, dreamer, dreams, family, friends, high school, passion, passionate, people, School, students, university, young people, youth. Bookmark the permalink.